It all started with our founder, Frederick Belmont, a young baker and confectioner from the Swiss Alps, who came to England in search of his fortune. 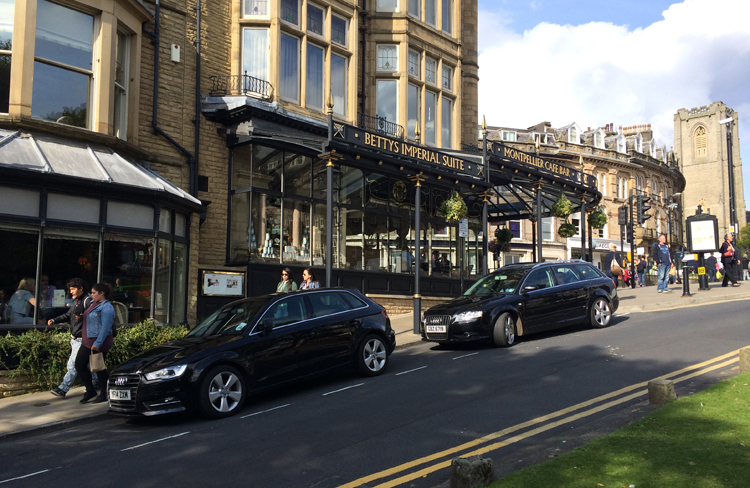 When he opened the first Bettys in Harrogate 95 years ago, he brought together the best of both Switzerland and Yorkshire: Swiss craft skills, finesse and attention to detail, and Yorkshire’s proud tradition of warm hospitality and quality local ingredients. …and don’t forget the esteemed cookery school in Knaresborough [“one pot wonders”, “naughty but nice”, “everyday delicious”] and Taylor’s Tea and Coffee. It’s one of those places to which you should go in the event of nuclear war, because nothing bad can ever happen there. 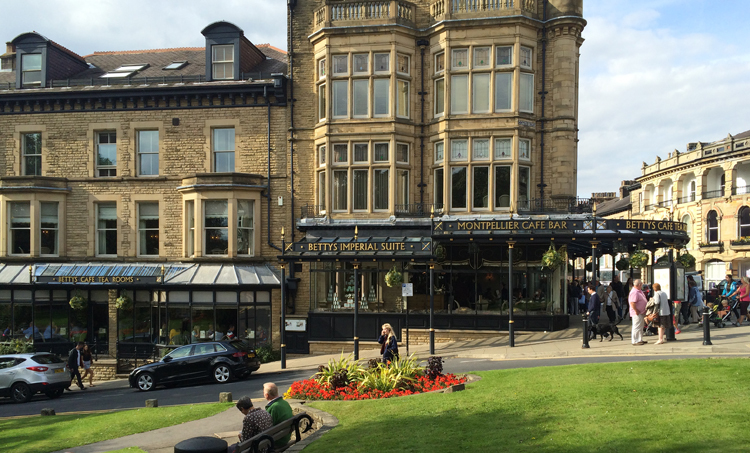 The ultimate café tearoom atmosphere and not just because they’re all in Yorkshire. World famous. The Wolseley with knobs on. The Ritz without the crackers. The Savoy without the Rolls Royce bit. There are two sides to the Tearooms – the shop where you can buy the wonderful bread and cakes, chocolates, biscuits, coffee, tea, marmalade [that’s enough – they can see for themselves…ed], and the tearoom part. Seasonal menu, but with Swiss standards and favourites. The baking, the chocs and the cakes are the real highlights. Curd tart, curd tart, curt tart…almost an anthem. There’s also the Betty’s cookbook – A Year of Family Recipes – which features many of the recipes and is a guiding light and inspiration. They extended Harrogate recently. 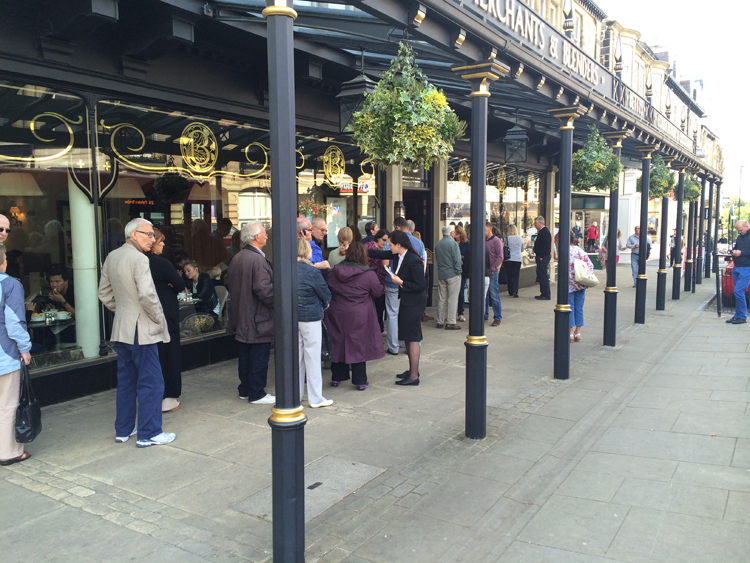 Bigger shop, informal cafe…and more queuing space. Do we like it? Not half.